Rates include breakfast, lunch and dinner daily and all drinks (including premium wines and spirits and liqueurs, but excluding French Champagne). 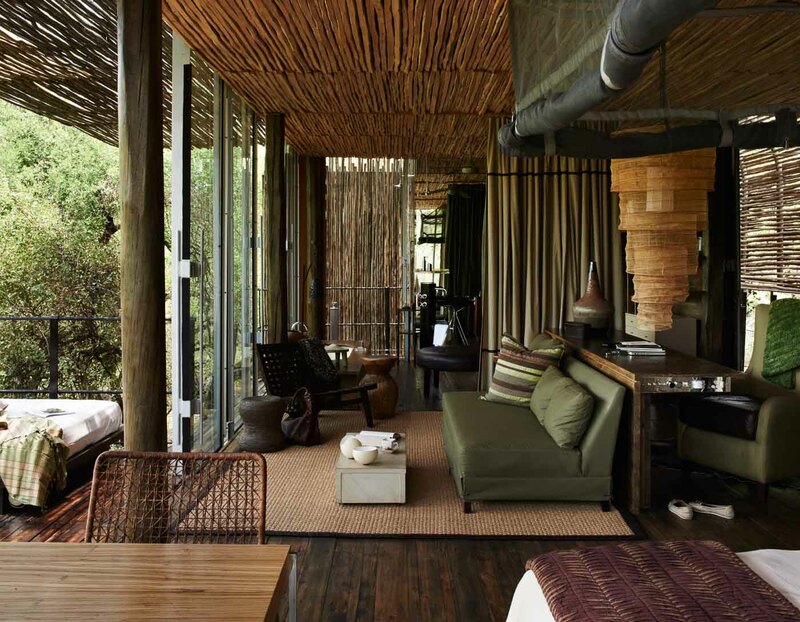 In this tranquil, intimate hideaway, the decks of the lodge seem to hover in the branches, while inside, rich calming colours and textures echo the hues of the natural surroundings. With its proximity to the river, guests at Singita Sweni Lodge are treated to up-close sightings of the incredible number of animals and birds that wander down to drink or wallow in the river.